KakaoTalk (also known as KaTalk) is a free communication tool for smartphone users. It offers free voice and video calling, instant messaging, and other features such as location sharing, gameplay, and scheduling. Like market leaders WhatsApp, LINE, and Viber, KakaoTalk does not require usernames for identification, instead relying on users' mobile numbers. KakaoTalk has around 150 million users, which positions it among the most used instant messaging apps in the world. Still, it remains far less popular than WhatsApp — which boasts more than a billion users — and several other widely used programs. The number of users is important because it governs the extent to which free voice and video calls are possible. The more people who use the app, the better your chances of communicating for free. 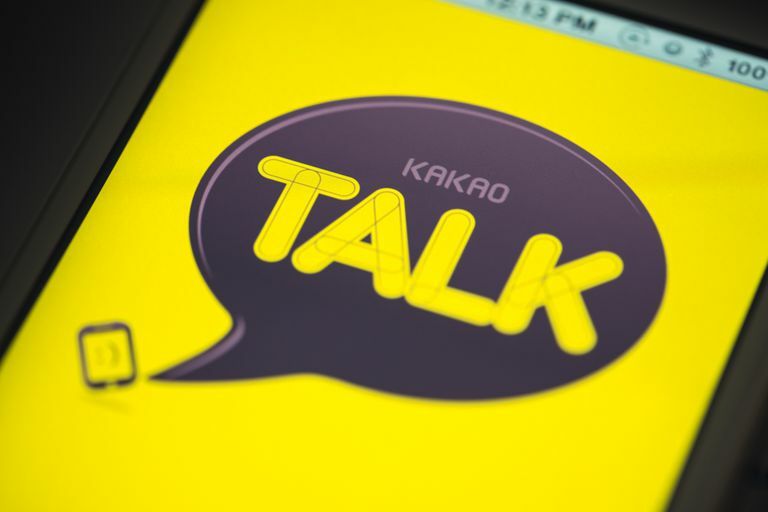 KakaoTalk is a Korea-based VoIP service that resembles Viber and numerous other services that offer free calls and communication services to other in-network users. You can use KakaoTalk to communicate only with other users; you can’t place calls to other landline or mobile numbers, not even with a paid version. As long as you have friends using it, though, this service is worth a look. With its user base of about 150 million people, chances are fairly good you know someone already on KakaoTalk. KakaoTalk is also used as a social networking tool. You can search for people using their names, their numbers, and their email accounts. In fact, people are so easy to find that it raises questions of security and privacy. Competitors have implemented end-to-end encryption, but KakaoTalk has lagged in this area. If you attempt to call a number that's not registered with the KakaoTalk, the app lets the call go through, but it uses your cell phone plan's minutes as if it's an ordinary call. Plus Friend: You receive access to multimedia content such as songs and videos from artists and celebrities you add as your friends. Contacts management: The app integrates your contact list and adds friends automatically to your chat sessions once they are online. You can import and export friend lists and view each friend’s mini profile. You can also register your favorite friends. Audio and graphic elements: The app provides funny voice filters that you can apply to your voice when engaged in voice calls. For messaging, you have a choice of animated emoticons. Sharing. KakaoTalk allows you to share images, videos, links, contact information, and voice messages. You can use your KakaoTalk account with only one phone number. If you change your phone number, you need to complete another number registration process.